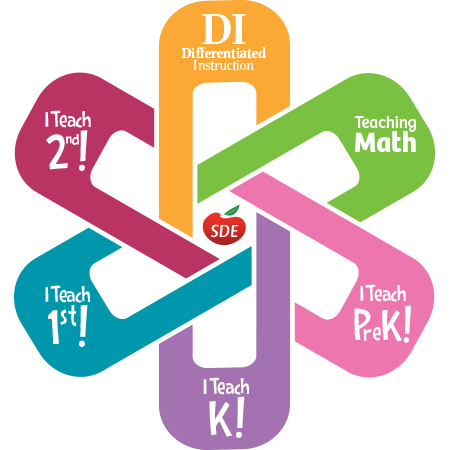 Are you thinking about attending SDE’s National Conferences this summer? Are you wanting to find a way to convince someone to “sponsor” you to attend? Well…I’m starting a series of posts which will give you 17 reasons you should attend the National Teaching Math Conference! Here we go: Reasons 1, 2, 3, and 4–Addition, Subtraction, Multiplication, Division!!!! All day Monday, July 9, I will be doing a Pre-Conference event around developing fluency. What does fluency mean? Do students have to be able to do a certain amount of problems in a certain amount of time? How do we develop procedural fluency alongside of conceptual fluency? Are there other ways to assess than timed tests? And, what kinds of activities provide purposeful practice of facts? Throughout the day I will answer all of those questions and many more. By the end of the day you will have made examples of an addition/subtraction journal, multiplication/division journal, fluency folder, fact practice cards, and played numerous fluency games which you will be able to begin teaching on the first day of school. Your students will love the ideas you bring back to them, and you will love the progress your kids make with their facts! The best part is, this is a BONUS day! If you sign up for this event you will spend the entire day with me. Bring all of your fluency questions and concerns and we will address them during our time together. Even though we will be in Vegas, be sure to get a good night’s rest because the conference will officially start on Tuesday. Are you ready to sign up for the summer’s most engaging conference? Click on the image below to begin the process! If these reasons didn’t convince you enough to attend, check out tomorrow’s post on reasons 5 & 6.